In Portland's Pearl District, one of the nation's most successful new urban neighborhoods. Hoyt Street Properties envisioned this high-rise project as an icon in the city, and it has become Portland's most luxurious urban condominium building. At 225 feet tall, the Metropolitan is one of the city's first truly mixed-use projects - 121 large, luxury units, in a 19-story tower paired with a 4-story, 20,000-square-foot boutique live/work building. The live/work building contains 15 loft-style units and the main tower contains both single level and townhome style units. These two sections are joined by over 20,000-square feet of retail space at street level and two floors of underground parking. Situated in the center of the Pearl District, between NW 10th and NW 11th Avenues, and NW Lovejoy and NW Marshall Streets. The addresses are 1001 NW Lovejoy St and 1022 NW Marshall St. 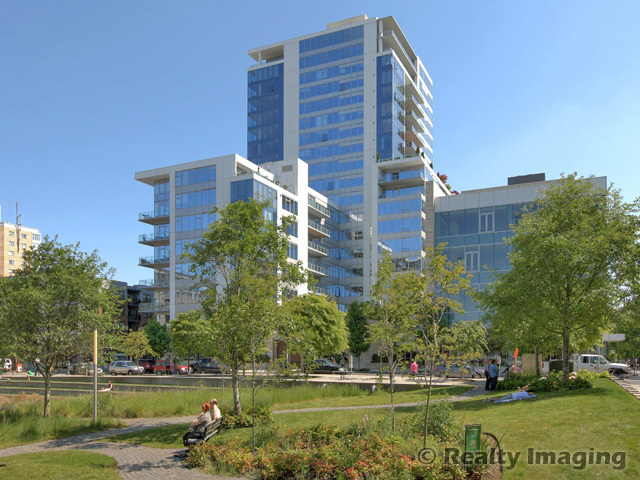 The Metropolitan is adjacent to Tanner Springs Park and 2 blocks away from Jamison Square and the new Fields city Park in the Hoyt Yards Pearl District neighborhood. The Metropolitan is on the Portland Streetcar line and within walking distance to countless restaurants and shops and just minutes from Downtown. There are 3 listings found for Metropolitan.